Jeans - 141 - Super Savings! Save up to 33% | What Should I Say? Super Savings! Up to 33% off on Jeans at What Should I Say?. 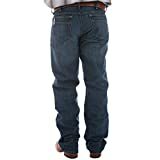 Top brands include Signature by Levi Strauss & Co. Gold Label, Levi's, LEE, Wrangler, Calvin Klein Jeans, Lucky Brand, Qazel Vorrlon, Cinch, Carhartt, Ariat, & NITAGUT. Hurry! Limited time offers. Offers valid only while supplies last.